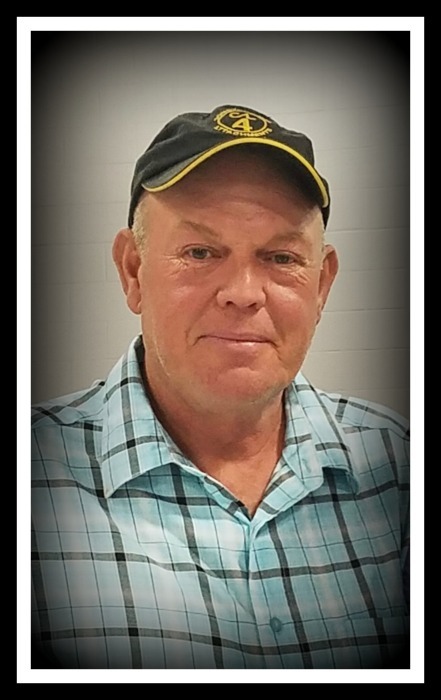 Dale Wilkerson age 54, of Cedar Springs, departed this life on Tuesday, November 27, 2018 at his residence. The Edmonson County native was born on May 8, 1964 to Arthur “Tom” Thomas and Ruby Wells Wilkerson. He was married to Leta Lindsey Wilkerson, who survives. Dale was saved at the age of ten at Fairview United Baptist Church. He later joined Liberty Hill Missionary Baptist Church with his loving wife, Leta. He had a special love for his church family and friends. He was also a member of the Washington Meredith Masonic Lodge #355 F&AM. To say that Dale was a hard worker would not put into perspective the work ethic he possessed and handed down to his sons. Beginning at age twelve, his life was dedicated to the family farm until just a few years ago. He then worked in road construction until his passing. Hard work was all he knew. When Dale wasn’t working, he enjoyed gardening, fishing and digging for ginseng. He also had a special bond with his three grandchildren, Mackenzie, Marshall and Whitleigh. Besides his wife and parents he leaves to cherish his memory-- two sons, Clayton Wilkerson (Ashley) of Brownsville and William Wilkerson (Gabrielle) of Louisville; two grandchildren, Mackenzie and Marshall Wilkerson; two sisters, Donna Brooks and Doris Lindsey (Freddie); one step son, Joseph Harper and one step granddaughter, Whitleigh Harper. He was preceded in death by his brother-in-law, Willie Brooks. Interment will be in Liberty Hill Church Cemetery.